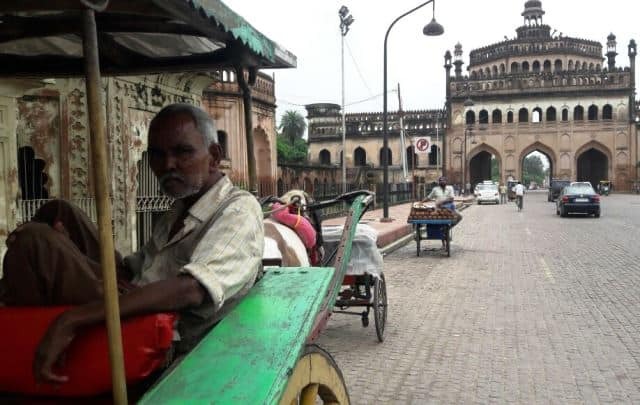 Every day, Chand Mohammad, 75, a tongawallah in Lucknow waits patiently for passengers. But the patrons are hard to come by. With the advent of cheaper e-rickshaws and quicker public transport, he tells LokMarg, Lucknow will quietly witness the extinction of our clan. I was 15 when I took the seat alongside my father and started ferrying passengers on the roads of Lucknow. For 60 years, I have guided several thousands of tourists around the heritage sites of our historical city. Until the early 2000s, there was steady business for most of the tongawalahs. We never fell short of tourists and used to return home with a decent amount of money – enough to run our households and feed our horses. However, with the passage of time, things deteriorated drastically. Passengers hardly come by. And when someone chooses to take a tonga ride, it leads to a squabble among the tongawallahs, over who gets to ferry that lone passenger. The tonga was my bread and butter once; now it is a burden that I have chosen to carry to my grave. Earlier, the state government had chalked out a route, which was working well for us. We used to ply across the five-kilometer-long stretch between Chidiyaghar to the Chhota Imambara. It included all the historical sites such as, Bhoolbhulaiya, Bada Imambara, and Pukka Pul. But now our movement has been restricted. We can now ply only between Pukka Pul and the Unity College – a one-kilometer long stretch. During the Samajwadi Party regime, this one-kilometer stretch was declared the ‘heritage zone’. The road was even paved with old bricks to give it a ‘heritage’ look. The then chief minister, Akhilesh Yadav had promised that other vehicles will be banned from this stretch to give us the much-needed boost. But such promises are never kept – it is one lesson that I have learnt. The advent of e-rikshaws have proven to be the last nail on our coffins. They ferry across the city like bees, with no one to check them. Commuters too prefer e-rikshaws over tongas, since they are cheaper and can move around anywhere in the city as they have licenses. Till 10 years ago, we had licenses too. But the city administration has not renewed them. They are also waiting to quietly phase us out. Burdened with our set of problems, we have met the district magistrate several times, but to no avail. All we get is reassurances and no real action. With no option left, most tongawalahs have shifted jobs. The tongas left can be counted on the fingers now. There are just eight to 10 tongas on the roads of Lucknow, with a daily income of a meagre Rs.50 to Rs 100 a day. I am old, and I have chosen to continue with the `legacy’ of my fore-fathers till the day I die. But my children have no interest in this profession. I have four sons and fortunately, all of them are fortunately in different professions. Once I die, I know for sure that my tonga will be either sold off or will be kept chained outside our house. The other tongawalahs await the same fate. An important part of the city’s heritage is on the verge of extinction, and no one seems to be bothered. Lucknow will quietly witness the extinction of our clan. Tonga’s should be declared as a tourist heritage of lucknow. All tourist must be propelled to use them while visiting the heritage of lucknow.